The Navy Yard Walking Tour & Visitors Guide will help you explore the Navy Yard at your own pace, experiencing the old and new up close and on foot. The tour route is approximately 2 miles long and will take the average walker an hour to complete. Restrooms are available at Building 543 on weekdays (Stop 14), Central Green - inside the wooden sunlawn (Stop 9), and at the Courtyard by Marriott Philadelphia South. Food/drink are marked as orange stars on the map. 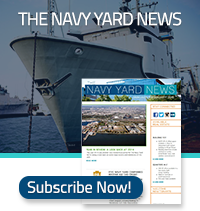 Connect with the Navy Yard on social media for the latest news, events, photos, and more!